Here’s a yummy recipe from one of my old Taste of Home magazines. There are so many recipes I want to try from them and just not enough time for them all! I was looking for a Mexican-style chicken casserole recipe, and this one sounded really good and I just happened to have all the ingredients on hand. It was quick and easy to make, not to mention delicious! I made mine ahead of time and was a little concerned that the tortillas might turn out soggy, but that wasn’t the case. So I can tell y’all that if you want to make this ahead of time and freeze it for later, it’ll still turn out fine. 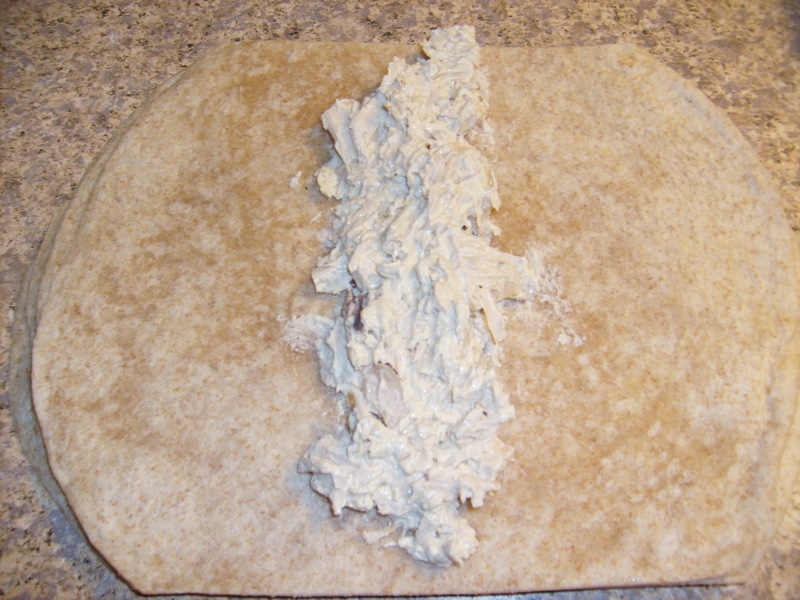 Mix together your chicken filling ingredients, then spoon an even amount into each tortilla. As you can see, I had to trim my tortillas just a little so they would fit in the pan. 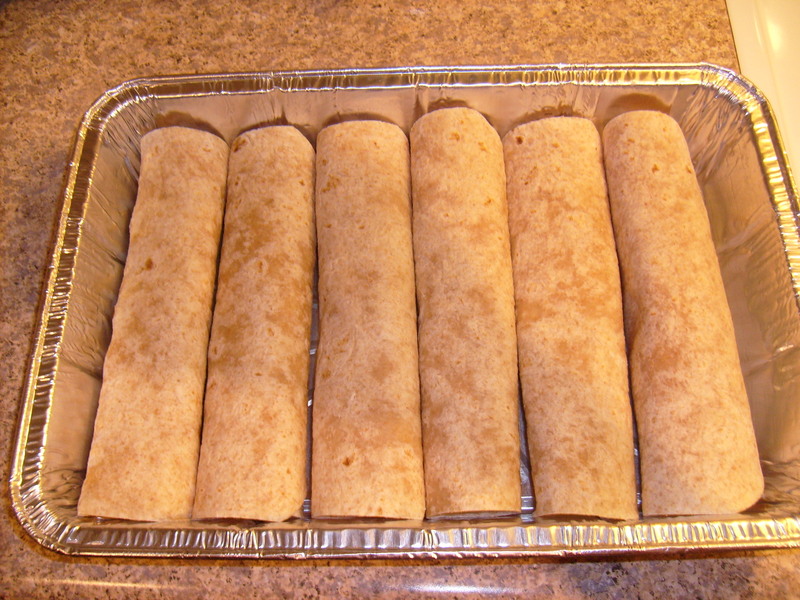 Roll them up, and place in your greased baking pan. Now combine the sauce ingredients, and pour them over the enchiladas. Now for the best part, the cheese! Here’s the complete recipe. Enjoy! In a large bowl, stir together the cream cheese, water, and seasonings until smooth. Stir in chicken. Place about 1/4 cup down the center of each tortilla. 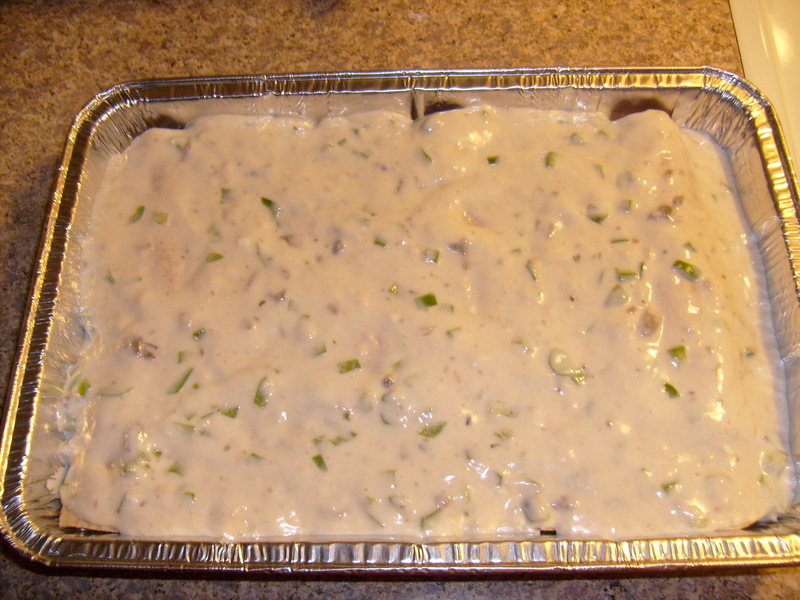 Roll up, and place seam side down in a large, greased baking pan. 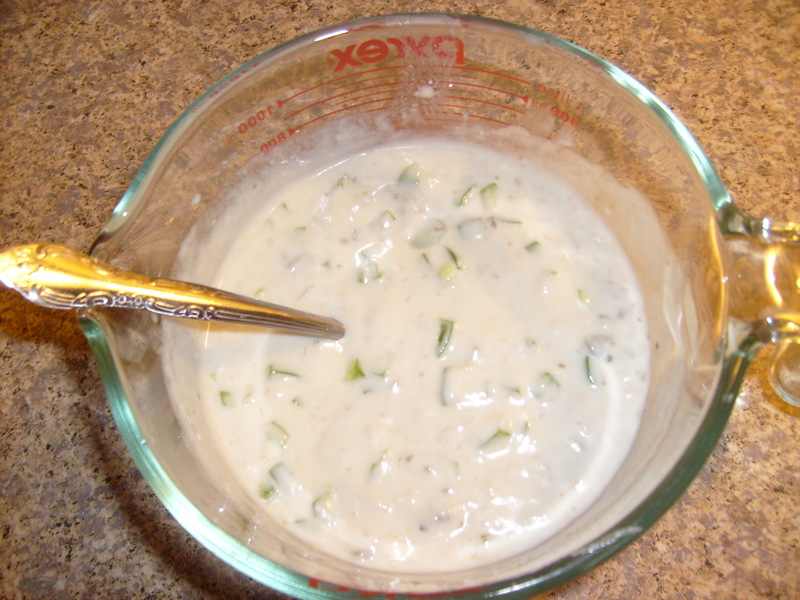 In large bowl, combine the soup, sour cream, milk, and chiles. Pour over the enchiladas. Sprinkle with the shredded cheddar cheese. 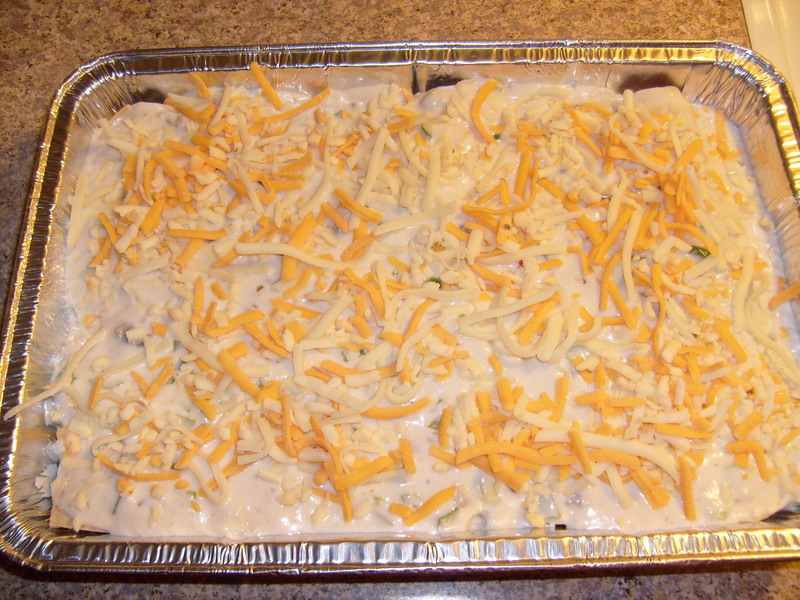 Bake, uncovered, at 350 degrees for 30-40 minutes, or until cheese is melted and the casserole is heated through. These look prefect for a cool evening! yum yum! A great thing about these enchiladas is that they come together really quickly, especially if you already have some cooked chicken on hand! Your enchiladas look perfect. Much prettier than my Mexican Chicken Casserole ! Made these last night for two of my adult children and their spouses. Everyone thought they were delicious and my son in law even wanted the recipe. This is awesome! You should link up at Fat Camp Fridays as well! I love enchiladas and I haven’t made them in ages! 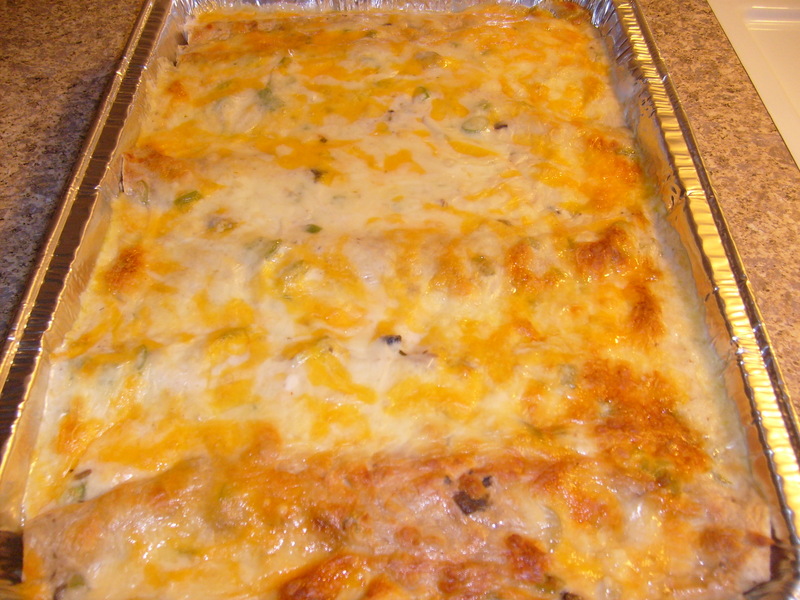 Thanks for sharing this lovely recipe with Friday Potluck this week! I made these while my husband (who is on a strict diet) was away. I was in the mood for something creamy, cheesey and gooey. This fit the bill, and they were wonderful. I froze what little I had left over for when I need another splurge.